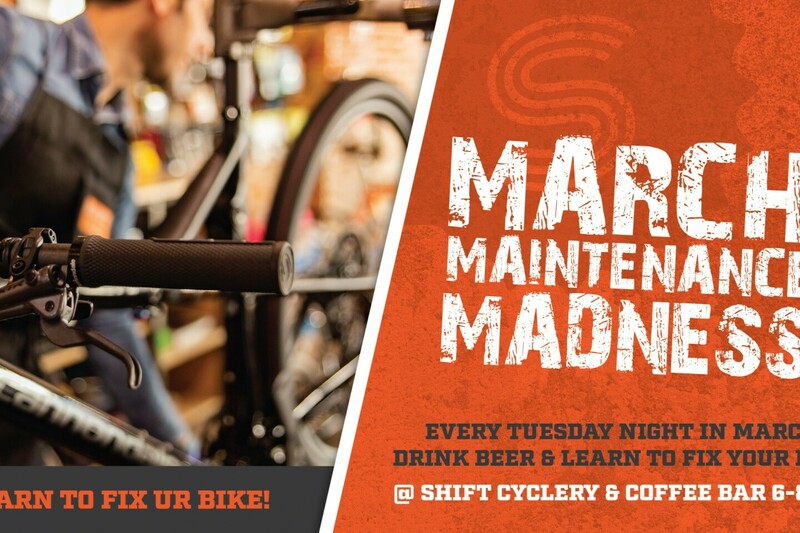 Join SHIFT every Tuesday in March for FREE BEER when you sign up for this four-part maintenance series, March Maintenance Madness. During each $25 class (attend all four for a discount!) they'll cover a different topic and by the end of the series you'll be able to perform a complete tune-up on your own bicycle. Each class will feature a "lecture" portion and a "lab" portion, so feel free to bring your own bike, as you'll be able to practice what you learned. You'll receive a free beer or coffee drink, as well a small gift related to each week's topic. Sign up for all four classes and receive a tuition discount. Registration closes Friday, March 1st. Lastly, signing up for one or all of these classes gets you 10% off any purchases you make during the month of March.